Pretty cute! 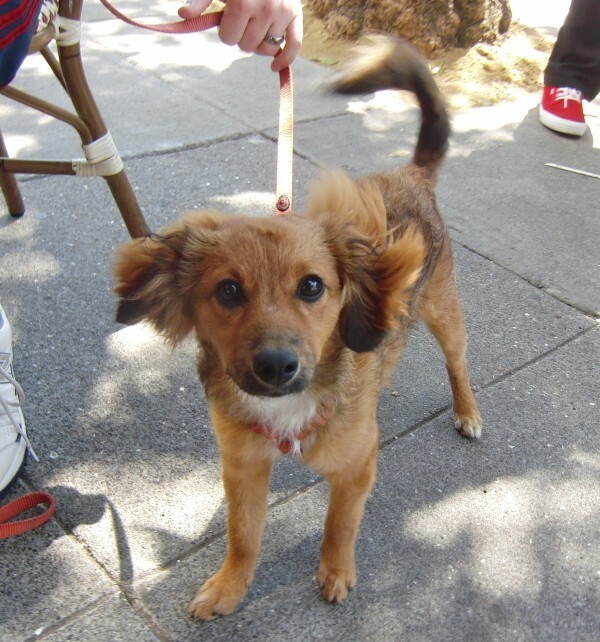 The breed mix is a guess, based on head shape and ear floof, and that a similar-looking puppy pupped… er, popped up here a while back. Similarly adorable, I’d say. 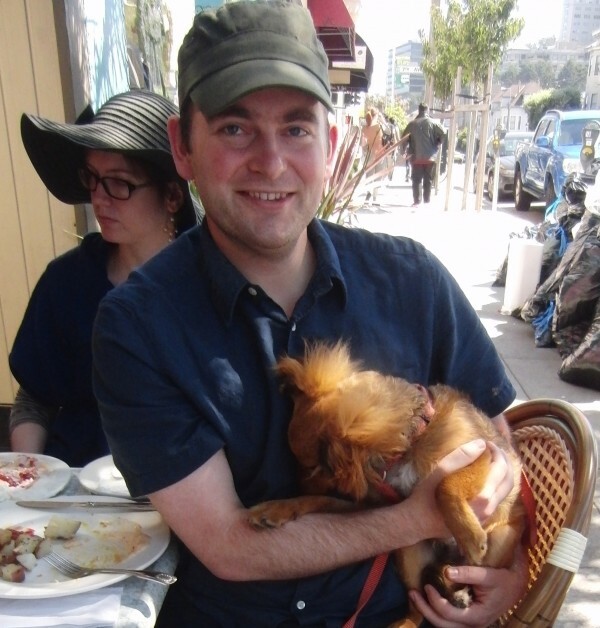 When this picture was taken (last September) Paddington was 5 months old, and was congenitally unable to stop wagging his tail. Note big eyes, poofly ears, blurred tail. 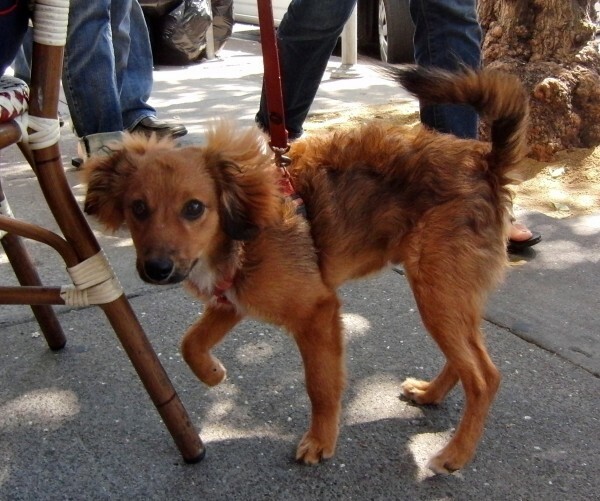 Funny look for a dachsund mix, with those long legs, but the head looks SOOO dachshund-y! ...or the pup is hiding his face against dad! 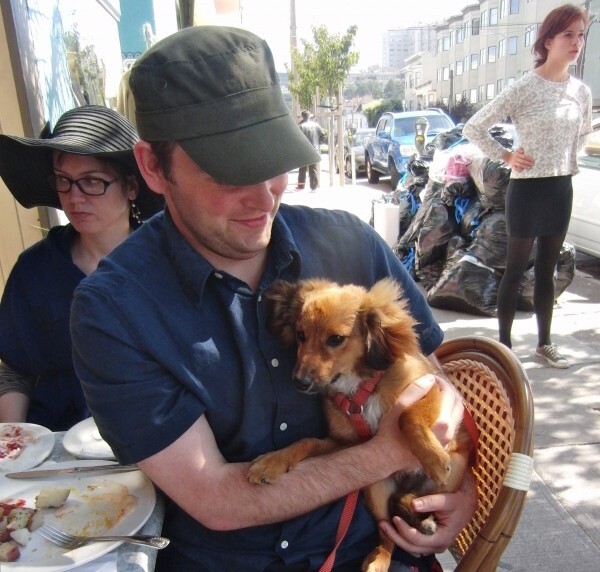 This entry was posted in Dog of the Day and tagged Dachshund, Inner Sunset, Mixed Breed, Pomeranian. Bookmark the permalink. My dog looks like that too. Got him from a shelter. According to the previous owners he’s half chihuahua, quarter dachshund and quarter jack russel terrier. Could well be. So cute!